1. Information on how to enter and the prizes form part of these Terms and Conditions. Participation in this promotion is deemed acceptance of these Terms and Conditions. 2. The Promoter is Defiant Screen Entertainment Pty Ltd (ABN 63 114 544 562) of Suite 1001, 4 Daydream Street, Warriewood NSW 2102, telephone: 02 9997 3936. 3. Entry is only open to Australian residents aged 18 years or over who have a current Foxtel subscription account. 4. Entrant’s subscription account must not be in arrears throughout the Promotional Period and must not have overdue monies owing at 06/02/2019 in order to be eligible to claim the prize. 5. Employees (and their immediate families) of the Promoter, Foxtel Management Pty Ltd (“Foxtel”) and agencies associated with this promotion are ineligible to enter. Immediate family means any of the following: spouse, ex-spouse, de-facto spouse, child or step-child (whether natural or by adoption), parent, step-parent, grandparent, step-grandparent, uncle, aunt, niece, nephew, brother, sister, step-brother, step-sister or 1st cousin. 6. Entries into the promotion open on 26/12/2018 and close at 11:59pm AEDT on 31/01/2019 (“Promotional Period”). 7. To be eligible to enter, eligible individuals must rent the film ‘Final Score’ from Foxtel during the Promotional Period (minimum rental cost is $5.95). 8. To enter, individuals must then visit https://www.defiant-ent.com/foxtel-competition/, follow the prompts to the promotion entry page, input the requested details into the online entry form and submit the fully completed entry form so that it is received during the Promotional Period. In order for an entry to be valid, the entry form must be completed with the details of the Foxtel subscription account holder. 9. 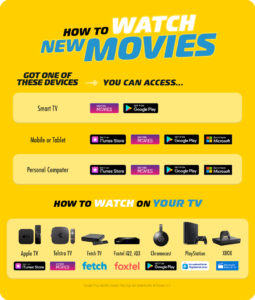 Entry to the promotion is limited to one (1) entry per Foxtel subscription account. 10. The Promoter reserves the right, at any time, to verify the validity of entries and entrants (including an entrant’s identity, age and place of residence) and reserves the right, in its sole discretion, to disqualify any individual who the Promoter has reason to believe has breached any of these Terms and Conditions, tampered with the entry process or engaged in any unlawful or other improper misconduct calculated to jeopardise fair and proper conduct of the promotion. Errors and omissions may be accepted at the Promoter’s discretion. Failure by the Promoter to enforce any of its rights at any stage does not constitute a waiver of those rights. The Promoter’s legal rights to recover damages or other compensation from such an offender are reserved. 11. If there is a dispute as to the identity of an entrant, the Promoter reserves the right, in its sole discretion, to determine the identity of the entrant. 12. The draw will take place at Anisimoff Legal, Suite 5, Erina Plaza, 210 Central Coast Highway, Erina NSW 2250 on 04/02/2019 at 11am AEDT. The Promoter may draw additional reserve entries and record them in order in case an invalid entry or ineligible entrant is drawn. The winner will be notified in writing within two (2) business days of the draw and their name will be published online at www.defiant-ent.com and on the Promoter’s Facebook page (www.facebook.com/defiantscreenentertainment) from 06/02/2019. $500 spending money for the winner only (awarded via cheque or EFT). For the removal of doubt, the winner can only choose one (1) destination. Additional spending money, meals, insurance, transport to and from departure point, transfers, items of a personal nature, in-room charges and all other ancillary costs are not included. Prize must be taken by 04/02/2020 (during the football season) and is subject to booking and flight availability. Prize cannot be taken during Australian school holidays, public holidays or other peak periods. 15. The winner may select a companion of any age, however during the entire duration of the prize, a nominated parent/guardian must accompany any person under 18 years of age. The winner and his/her companion must depart from and return to the same departure point, travel together and stay at the same property. Itinerary to be determined by the Promoter in agreement with the winner but in the event that agreement cannot be reached, the Promoter reserves the right to determine the itinerary. Frequent flyer points will not form part of the prize. Prize is subject to the standard terms and conditions of individual prize and service providers. The winner may be required to present their credit card at time of accommodation check in. 16. The winner must finalise the details of the prize with the Promoter within twelve (12) weeks of accepting the prize. The winner must book at least sixty (60) days prior to intended travel departure date. Prize is a single event holiday and cannot be separated into different holiday vacations. No compensation or alternative travel plans will be arranged should the winner and/or his/her companion miss their outbound or return flights or fail to meet any check in requirements for any reason. These costs will be the responsibility and expense of the winner and/or his/her companion. Once the booking is confirmed no changes are allowed, unless otherwise authorised by the Promoter in its absolute discretion and if permitted will incur a fee of $150 including GST plus supplier charges which is payable by the winner. Travel suppliers/airlines to be chosen at the discretion of 33 Degrees Worldwide Pty Ltd (the Promoter’s Prizing Agency). Comprehensive travel insurance is highly recommended and at the expense of the winner. The winner and his/her companion agree they will not sell or otherwise provide their story and/or photographs to any media or other organisations other than the Promoter. 17. In the event of war, terrorism, state of emergency or disaster, the Promoter reserves the right to cancel, terminate, modify or suspend the promotion or suspend or modify a prize, subject to any written directions from a relevant regulatory authority. 18. Subject to the unclaimed prize draw clause, if for any reason the winner does not take / redeem the prize (or an element of the prize) at/by the time stipulated by the Promoter, then the prize (or that element of the prize) will be forfeited. 19. If the prize (or part of the prize) is unavailable, the Promoter, in its discretion, reserves the right to substitute the prize (or that part of the prize) with a prize to the equal value and/or specification, subject to any written directions from a regulatory authority. 20. The football ticket prizes are subject to the event venue and ticket terms and conditions, including any applicable age restriction. The Promoter and event organisers hereby expressly reserve the right to eject the winner (and/or his/her companion/s) for any inappropriate behaviour, including but not limited to intoxication, whilst participating in any element of the prize. 21. Total prize pool value is up to $6,000. Prize, or any unused portion of the prize, is not transferable or exchangeable and cannot be taken as cash, unless otherwise specified. 22. A draw for the prize, if unclaimed, may take place on 06/05/2019 at the same time and place as the original draw, subject to any directions from a regulatory authority. The winner, if any, will be notified in writing within two (2) business days of the draw and their name will be published online at www.defiant-ent.com and on the Promoter’s Facebook page (www.facebook.com/defiantscreenentertainment) from 08/05/2019. 23. Entrants consent to the Promoter using their name, likeness, image and/or voice in the event they are a winner (including photograph, film and/or recording of the same) in any media for an unlimited period without remuneration for the purpose of promoting this promotion (including any outcome), and promoting any products manufactured, distributed and/or supplied by the Promoter. 24. If this promotion is interfered with in any way or is not capable of being conducted as reasonably anticipated due to any reason beyond the reasonable control of the Promoter, including but not limited to technical difficulties, unauthorised intervention or fraud, the Promoter reserves the right, in its sole discretion, to the fullest extent permitted by law: (a) to disqualify any entrant; or (b) subject to any written directions from a regulatory authority, to modify, suspend, terminate or cancel the promotion, as appropriate. 25. Nothing in these Terms and Conditions limits, excludes or modifies or purports to limit, exclude or modify the statutory consumer guarantees as provided under the Competition and Consumer Act, as well as any other implied warranties under the ASIC Act or similar consumer protection laws in the States and Territories of Australia (“Non-Excludable Guarantees”). Except for any liability that cannot by law be excluded, including the Non-Excludable Guarantees, the Promoter (including its respective officers, employees and agents) and Foxtel exclude all liability (including negligence), for any personal injury; or any loss or damage (including loss of opportunity); whether direct, indirect, special or consequential, arising in any way out of the promotion. 26. Except for any liability that cannot by law be excluded, including the Non-Excludable Guarantees, the Promoter (including its respective officers, employees and agents) and Foxtel are not responsible for and excludes all liability (including negligence), for any personal injury; or any loss or damage (including loss of opportunity); whether direct, indirect, special or consequential, arising in any way out of: (a) any technical difficulties or equipment malfunction (whether or not under the Promoter’s control); (b) any theft, unauthorised access or third party interference; (c) any entry or prize claim that is late, lost, altered, damaged or misdirected (whether or not after their receipt by the Promoter) due to any reason beyond the reasonable control of the Promoter; (d) any variation in prize value to that stated in these Terms and Conditions; (e) if the football match is delayed, postponed or cancelled for any reason beyond the reasonable control of the Promoter; (f) any tax liability incurred by a winner or entrant; or (g) taking of the prize / attendance at the prize event. 27. As a condition of accepting the prize, the winner (and his/her companion) must sign any legal documentation as and in the form required by the Promoter and/or prize suppliers in their absolute discretion, including but not limited to a legal release and indemnity form, by the requested date. In the event a winner or winner’s companion is under the age of 18, a nominated parent/legal guardian of such person will be required to sign the legal documentation required under this clause on their behalf. Entry is open to all residents of Australia. However, employees and their immediate families of Defiant Screen Entertainment Pty Ltd, Bauer Media Group, and their associated agencies and companies are not eligible to enter. The competition commences on Friday 22nd March, 2016 at 00:01 (AEST) and concludes on Friday 13th May, 2016 at 23:59 (AEST). To enter, participants must visit https://www.defiant-ent.com/lauda-competition/ and provide their details, including but not limited to their full name, email address and telephone number. Entrants under the age of 18 must obtain the prior permission of a parent or guardian over the age of 18 to enter. The Promoter reserves the right to request winners to provide proof of identity, proof of residency at the nominated prize delivery address and/or proof of entry validity (including store receipt for purchase requirement) in order to claim a prize. Proof of identification, residency and entry considered suitable for verification is at the discretion of the Promoter. In the event that a winner cannot provide suitable proof, the winner will forfeit the prize in whole and no substitute will be offered. The Promoter reserves the right to verify the validity of entries and to disqualify any entry which, in the opinion of Promoter, includes objectionable content, profanity, potentially insulting, inflammatory or defamatory statements, disqualify any entrant who tampers with the entry process, who submits an entry that is not in accordance with these Terms & Conditions of Entry or who has, in the opinion of Promoter, engaged in conduct in entering the Promotion which is fraudulent, misleading, deceptive or generally damaging to the goodwill or reputation of the Promotion and/or Promoter. The Promoter reserves the right to disqualify a winner if Promoter becomes aware that the winner and/or the winner’s entry is of a type described in this clause. Entries must be received by 23:59 (AEST) on Friday 13 May, 2016. The time of entry will in each case be the time the online entry is received by the Promoter’s database. The Promoter accepts no responsibility for any late, lost or misdirected entries due to technical disruptions, network congestion or for any other reason. Any entry that is made on behalf of an Entrant by a third party will be invalid. The cost of accessing the promotional website will be dependant on the entrant’s individual Internet Service Provider. Two (2) Silver (10 lap) experience packages from Formula Ford Experience Australia, valued at $499 each. One (1) DVD of Lauda: The Untold Story. Five (5) runner up winners will each receive one (1) DVD of Lauda: The Untold Story. Prizes cannot be redeemed for cash. Unless expressly stated in these terms and conditions all other expenses become the responsibility of the winner, including, but not limited to, travel to and from the Formula Ford Experience Australia track sites. If the prize is unavailable, for whatever reason, the Promoter reserves the right to substitute the prize for a prize of equal or greater value, subject to State Regulation. The promoter reserves the right to refuse to allow a winner to take part in any or all aspects of the prize, if the promoter determines, in their absolute discretion, that a winner is not in the mental or physical condition necessary to be able to safely participate in the prize. It is a condition of accepting the prize that the winner may be required to sign a legal release in a form determined by the promoter in its absolute discretion. Once prizes have left the Promoter’s premises, the Promoter takes no responsibility for prizes damaged, delayed or lost in transit. By accepting the prize, the winner agrees to participate in and co-operate as required with all reasonable media editorial requests relating to the prize, including but not limited to, being interviewed and photographed, filmed and/or chaperoned throughout the duration of the prize. Prize values are based upon the recommended retail prices at the time of printing (inclusive of GST). The promoter accepts no responsibility for change in prize value between now and the ultimate prize redemption date. Independent financial advice should be sought as tax implications may arise as a result of accepting the prize. If the competition winner is under 18 years of age, the prize will be awarded to the winner’s parent or legal guardian on behalf of the winner. Prizes will be awarded to person named in the entry. However, in a dispute, will be awarded to the account holder of the entry mechanism used to submit their entry (i.e. internet account holder. Subject to any direction given under relevant State legislation, an unclaimed prize draw will take place. The promoter’s decision is final and the promoter will not enter into correspondence regarding the Competition result. Defiant Screen Entertainment Pty Ltd, and their associated agencies and companies assume no responsibility for any error, omission, interruption, deletion, defect, delay in operation or transmission, communications line failure, theft or destruction or unauthorised access to, or alteration of entries, and reserves the right to take any action that may be available. All entries become the property of the Promoter. The Promoter collects personal information about you to enable you to participate in this promotion but no further use of this information will be made without prior consent. All entries become the property of The Promoter. All opt-in entries will be entered into a database and The Promoter may use the entrant’s names, addresses and telephone numbers for future promotional, marketing and publicity purposes in any media worldwide without notice and without any fee being paid unless otherwise advised by the entrant. By opting-in, entrants confirm that they allow their details to be used for this purpose. If entrants no longer consent to their details being used for future marketing purposes, the entrant should contact The Promoter on their details set out below. Any request to update, modify or delete the entrant’s details should be directed to The Promoter. Defiant Screen Entertainment respects your right to privacy under the Privacy Act 1988 (Cth) and is required to comply with the Australian Privacy Principles in respect of the collection of personal information from individuals. Information is gathered for a range of purposes, including the provision of ongoing Customer support and the compiling of Customer databases to enable us to more accurately market our goods and services. (g) information collected from third parties. You have no obligation to provide personal information which you do not wish to disclose. In some circumstances, however, the failure to disclose personal information may mean that Defiant Screen Entertainment is unable to provide you with goods or services that require the collection of that information. The information that you provide to us is generally used to provide goods or services to you. Defiant Screen Entertainment may also use your personal information and aggregate it with information from other customers in order to provide you with better service such as by advising you of new products and services or information which may be of interest to you. You have the right to tell us that you do not want us to send information to you other than for the main purpose for which we have collected your personal information. Defiant Screen Entertainment does not generally disclose personal information to third parties. In some circumstances personal information may be disclosed to third parties who perform services on behalf of Defiant Screen Entertainment for the purpose of providing you with goods and services. Defiant Screen Entertainment requires third parties who receive your personal information to comply with Australian Privacy laws. Defiant Screen Entertainment does not sell or rent any personal information. Defiant Screen Entertainment takes measures to ensure your personal information is protected from unauthorised access, loss, misuse, disclosure or alteration. We also take measures to destroy or permanently de-identify personal information when it is no longer required. The types of measures we take vary with the type of information, and how it is collected and stored. Defiant Screen Entertainment may disclose Personal Information to countries outside Australia. Defiant Screen Entertainment will only do so in compliance with all applicable Australian data protection and privacy laws. Defiant Screen Entertainment will take reasonable steps to protect Personal Information no matter what country it is stored in or transferred to. Defiant Screen Entertainment is committed to working with its Customers to obtain a fair resolution of any complaint or concern about privacy. If you have a concern about your privacy or you have any query on how your Personal Information is collected or used please contact Defiant Screen Entertainment using the details below. We will respond to your query or complaint within a reasonable time. If you are not satisfied with Defiant Screen Entertainment’s response, you may also contact the Office of the Australian Information Commissioner. This website is owned and operated by Defiant Screen Entertainment Pty Ltd (ABN 63 114 544 562) (“Defiant Screen Entertainment”, “we”, “us” or “our”). “You” or “your” means a user of the website including, in the case of any minor, the minor’s parent or guardian. • commercialise any information, products or services obtained from any part of this website without the prior written consent of Defiant Screen Entertainment. All trade marks, trade names, service marks and other product and service names and logos on this website are owned by or licensed to Defiant Screen Entertainment and are protected by applicable trade mark and copyright laws. We may require you to register a username and password to permit you to access certain sections of the website. You are responsible for maintaining the confidentiality and security of your username and password and all use or activity that occurs on your account, including unauthorised use or activity. You must promptly notify Defiant Screen Entertainment if there is any unauthorised usage of your username or password. Defiant Screen Entertainment will not be responsible for any losses arising out of the unauthorised use of your username or password. Except as otherwise expressly permitted by us, any access or attempt to access our computer system or other information contained on the system other than through the proper login provided to you is prohibited. • transfer the materials to another person or “mirror” the materials on any other server. This license shall automatically terminate if you violate any of these restrictions and may be terminated by Defiant Screen Entertainment at any time. Upon terminating your viewing of these materials or upon the termination of this license, you must destroy any downloaded materials in your possession whether in electronic or printed format. The materials on Defiant Screen Entertainment’s web site are provided “as is”. Defiant Screen Entertainment makes no warranties, expressed or implied, and hereby disclaims and negates all other warranties, including without limitation, implied warranties or conditions of merchantability, fitness for a particular purpose, or non-infringement of intellectual property or other violation of rights. Further, Defiant Screen Entertainment does not warrant or make any representations concerning the accuracy, likely results, or reliability of the use of the materials on its Internet web site or otherwise relating to such materials or on any sites linked to this site. Defiant Screen Entertainment uses a Secure Server Layer (SSL) in the aim of making all information received from you secure against misuse, loss and unauthorised access, modification and disclosure. Defiant Screen Entertainment makes no warranty in respect of the security measures and is not responsible for any misuse, loss and unauthorised access, modification and disclosure of information provided by you to Defiant Screen Entertainment. Your access to and use of this website is at your own risk. The internet is not secure and we cannot guarantee that the website will be available or fault or virus free. • are free of viruses, worms, Trojan horses, bugs or similar components. This website uses “cookie” technology to assist in identifying registered users and delivering content specific to your interest. A cookie is a small data file that is stored in the computer’s hard drive the first time a computer visits a particular website. A cookie will allow a web site to recognise the computer used to access the web site. Information gathered through cookies may include the date and time of visits, the pages viewed, time spent at this website, and the websites visited just before and just after this website. If you do not wish information to be gathered on a cookie you should disable the acceptance of cookies by your web browser. Your Internet Service Provider may be able to assist you with this. This website may collect personally identifiable information through the use of such cookies. Often a cookie may identify a user’s IP address, collects email addresses, mailing addresses and names. However, this information is collected on an aggregate basis and is only used to better understand your use of the website and improve the website. • Defiant Screen Entertainment has outsourced some internal functions to third parties. You can change your cookie preferences by changing your browser’s preferences to disable cookies or delete cookies. However, disabling cookies may affect the ability to use this website. The Competition and Consumer Act 2010 (Cth) may confer rights, guarantees and remedies on you in relation to the provision by Defiant Screen Entertainment of goods and services, which cannot be excluded, restricted or modified. Defiant Screen Entertainment does not exclude those rights. All other terms and guarantees are excluded. Subject to paragraph set out above, this website is provided on an ‘as is’ basis and Defiant Screen Entertainment does not warrant, guarantee or make any representation regarding the use, or the results of the use of the website, including the correctness, accuracy, reliability, completeness or currency of the website or that security of the website will not be breached. • are free of viruses, worms, bugs or similar components. Defiant Screen Entertainment is not liable to you or third parties if interference with or damage to your computer system occurs in connection with use of this website or linked websites and Defiant Screen Entertainment excludes all liability whether to you or a third party for breach of contract, negligence or breach of any other law. • in the case of goods supplied or offered by Defiant Screen Entertainment, which are not of a kind ordinarily acquired for personal, domestic or household use or consumption, replacing, supplying equivalent, repairing or paying the cost of replacing, supplying equivalent, repairing goods. Defiant Screen Entertainment will not be liable for any loss of profit or for any direct, special, indirect, consequential or economic loss or damage. The materials appearing on Defiant Screen Entertainment’s website could include technical, typographical, or photographic errors. Defiant Screen Entertainment does not warrant that any of the materials on its website are accurate, complete, or current. Defiant Screen Entertainment may make changes to the materials contained on its web site at any time without notice. Defiant Screen Entertainment does not, however, make any commitment to update the materials. This website may contain links to third party websites which are hyperlinked to or from this website. Defiant Screen Entertainment has not reviewed all of the sites linked to its website, nor are these third party websites under our control. Defiant Screen Entertainment is not responsible for the contents or condition of any such linked site. You must not create or maintain any link from another website to this website without the prior written consent of Defiant Screen Entertainment. Please add me to the mailing list For updates, Newsletter and special offers.